The structure of x ray high voltage connector is arranged according to the concentric line in two ways: coaxial (concentric circle type) and non-coaxial (non-concentric circle type), but the two kinds of joints are the same except for the different appearance. 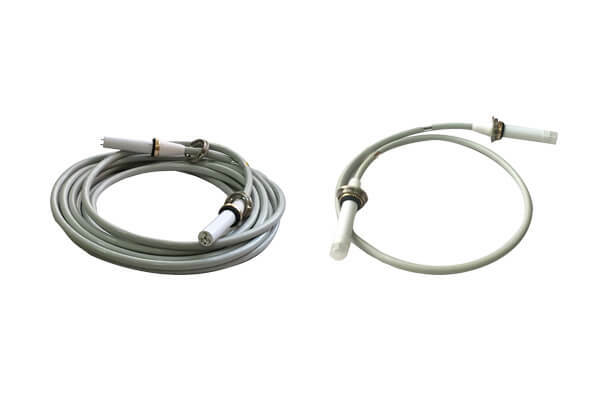 At present, the high voltage cable connector head in the market is usually straight-ended high voltage cable connector, which is also suitable for the spherical tube and high-voltage generator of most X-ray machines. Straight-headed high voltage cable connector used in spherical tubes may bend for a long time, which will affect the outer skin of high voltage cable connector, easily break or crack, and cause potential safety hazards. 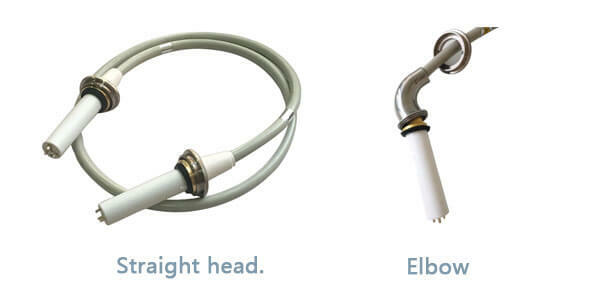 Therefore, in order to avoid this feature, we have developed elbow high voltage cable connector. This elbow design provides space for the bending of high voltage cable connector.